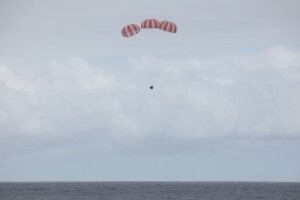 SpaceX’s Dragon cargo craft splashed down in the Pacific Ocean at 3:39 p.m. EDT a few hundred miles west of Baja California, Mexico, marking the end of the company’s fourth contracted cargo resupply mission to the International Space Station. The spacecraft is returning 3,276 pounds of NASA cargo and science samples from the International Space Station. A boat will take the Dragon spacecraft to a port near Los Angeles, where some cargo will be removed and returned to NASA within 48 hours. Dragon will be prepared for a return journey to SpaceX’s test facility in McGregor, Texas, for processing. The mission was the fourth of 12 cargo resupply trips SpaceX will make to the space station through 2016 under NASA’s Commercial Resupply Services contract. After delivering almost 5,000 pounds of supplies and experiments to the International Space Station during a month-long stay, the SpaceX Dragon cargo spacecraft is set to leave the orbital laboratory on Saturday, Oct. 25. 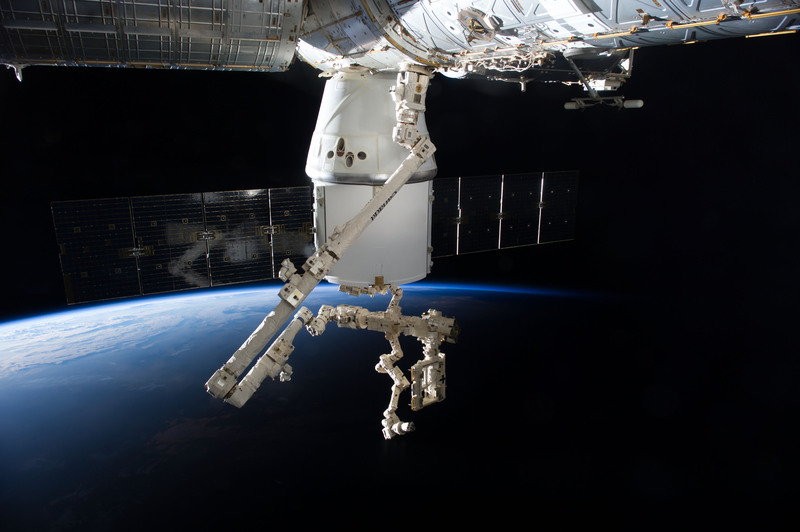 The Dragon spacecraft is scheduled to detach from the Earth-facing side of the station’s Harmony module and unberth through commands sent by robotic ground controllers in mission control at NASA’s Johnson Space Center in Houston operating the Canadarm 2 robotic arm. Mission control will maneuver Dragon into place then turn it over to Expedition 41 robotic arm operators Reid Wiseman and Barry Wilmore of NASA for release, which is scheduled for 9:56 a.m. EDT. NASA Television will provide live coverage of Dragon’s departure beginning at 9:30 a.m. For NASA TV schedule and video streaming information, visit: https://www.nasa.gov/nasatv. Space station and SpaceX officials delayed Dragon’s departure four days from the originally scheduled date of Oct. 21 because of high sea states in the splashdown and recovery zone west of Baja California. Dragon is the only space station resupply spacecraft able to return to Earth intact. It will return about 3,276 pounds of cargo, including science samples from human research, biology and biotechnology studies, physical science investigations and education activities sponsored by NASA and the Center for the Advancement of Science in Space, the nonprofit organization responsible for managing research aboard the U.S. national laboratory portion of the space station. Dragon will execute three thruster firings to move away from the station to a safe distance for its deorbit burn at 2:43 p.m. The capsule will splash down in the Pacific Ocean around 3:39 p.m. Neither the deorbit burn nor the splashdown will broadcast on NASA TV. Dragon launched on the SpaceX Falcon 9 rocket from the Cape Canaveral Air Force Station, Florida on Sept. 21 on the company’s fourth commercial resupply mission to the station. It arrived at the station Sept. 23. For more information about the International Space Station, and its research and crews, visit: https://www.nasa.gov/station.